Gather shellfish, crab and more on the seashore. 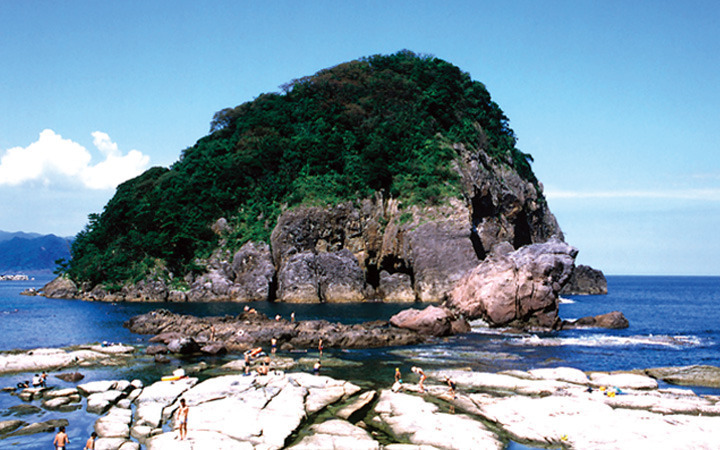 Imagoura Beach is a quiet swimming beach set back in a bay along the Sea of Japan. 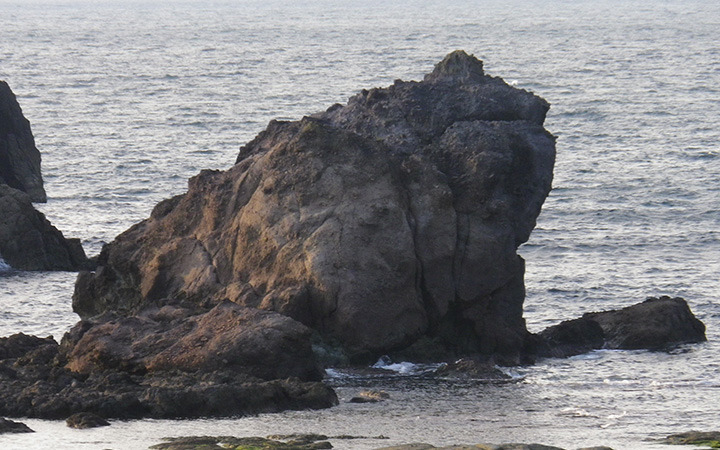 It is a great place to catch small fish and for gathering shellfish, crabs and more along the seashore. Adjacent to the beach is a camping site making it a great destination for families that enjoy the outdoors. Near by is “Kaeru (frog) Island”, a boulder shaped like a giant frog. 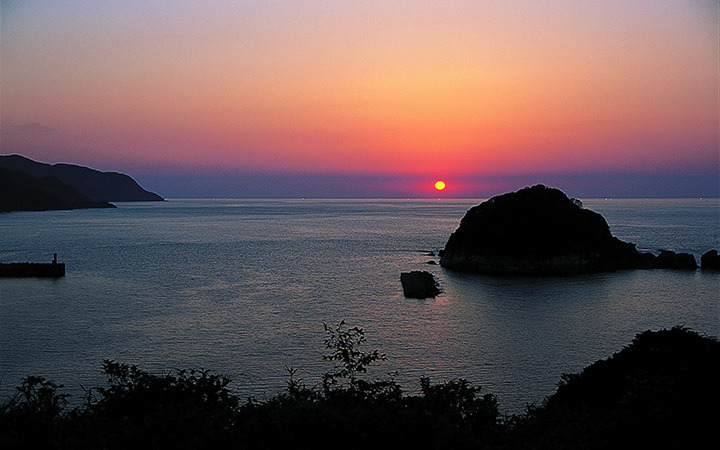 Stay for an extraordinarily beautiful sunset, one that you can’t see anywhere else. Take Kami-chomin Bus at JR Kasumi Station and get off at Imago bus stop.